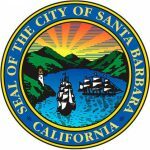 SANTA BARBARA, CA… Susan Aberle and Barbara Burger have been elected to Opera Santa Barbara’s Board of Directors. In addition, two new staff members will join the company’s artistic and production team. 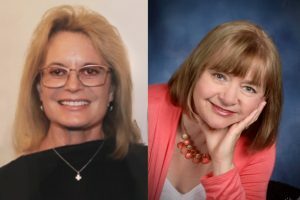 “Both Susan Aberle and Barbara Burger have many years of service to the community and will be a great asset to the opera,” said Opera Santa Barbara Artistic & General Director Kostis Protopapas. Two former board members, Herb Kendall and Sara Jane Lind, were nominated as Honorary Board Members and will be inducted at the company’s September board meeting. Susan Aberle has been a community volunteer for the past 31 years, contributing her many talents in the areas of fundraising, planning and marketing for events. Among the organizations that she has assisted are: Hospice of Santa Barbara, Transition House, the Santa Barbara Symphony and the Santa Barbara Museum of Art. She served on the Board of Catholic Charities of Santa Barbara for ten years, retiring in 2016. She also served on the board of St. Vincent’s Santa Barbara, an organization run by the Daughters of Charity of St. Vincent de Paul. Susan’s late husband, Richard, was an Opera Santa Barbara Emeritus Board Member. The company also welcomes Timothy Accurso and Susan Anderson to the staff. Timothy Accurso has been named Principal Pianist/ Music Administrator. He will begin his new position in September. Timothy is a vocal coach and collaborative pianist with a B.M. Music Performance in Piano and Voice (Susquehanna University) and M.M Vocal Coaching and Accompanying (University of Illinois). He has been on the music staff of Palm Beach Opera, the Seagle Music Colony, Utah Opera, and Opera Saratoga. Susan Anderson has been named Production Coordinator for the 25th Anniversary Season. Susan has served as Opera Santa Barbara’s orchestra manager for several seasons. She is a graduate of the College of William and Mary and Johns Hopkins University. Susan has had a long career in Symphony Orchestra management, with an emphasis in production, touring and artistic planning. Most recently, she was the Interim General Manager of the Atlanta Symphony and General Manager of the Santa Barbara Symphony. She has also held staff positions with the New York Philharmonic, the Cleveland Orchestra and the Baltimore Symphony; other long-term relationships have included the Boston Pops, San Francisco and Atlanta Symphonies as Tour Manager and the Ojai Music Festival as Producer. Susan is also a clarinetist and a former vineyard owner. For promotional images, please contact Marylove Thralls, Marketing Director.